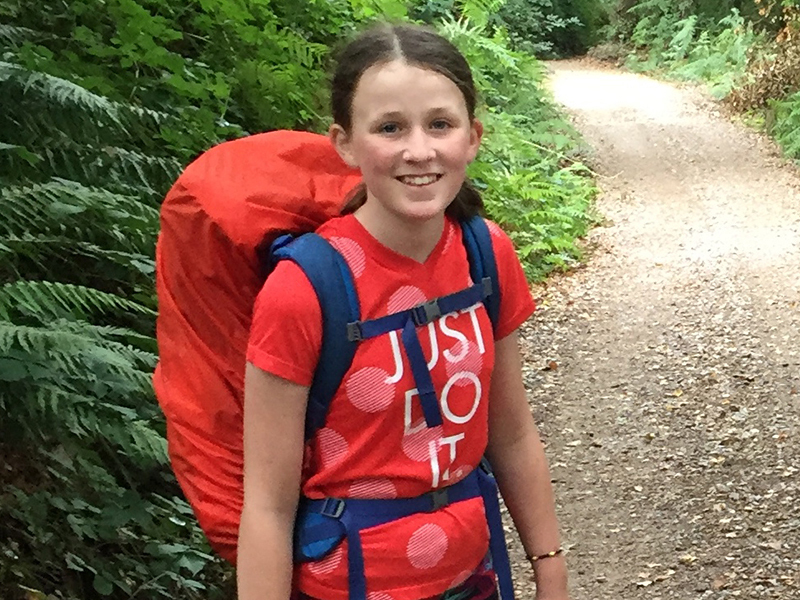 Most students would take time off from homework while embarking on an 800km trek, but not 11-year-old Anna, who kept up-to-date with her Kumon Maths homework while she completed the Camino de Santiago. The Camino de Santiago, or ‘The Way of Saint James’, follows one of the most significant Christian pilgrimages during the Middle Ages. This pilgrim’s route, part of the UNESCO World Heritage List, begins in the French town of Saint-Jean-Pied-de-Port, near the French-Spanish border, and ends in Santiago de Compostela, a city in north-western Spain. Today, it still serves as spiritual journey for modern-day pilgrims and as a tourist track. While Anna spent 26 days trekking over mountains, through medieval villages and across dry Spanish plains, she completed her Kumon Maths work with her cousins, carrying her homework wrapped in a plastic bag that was placed in her backpack. “I didn’t want to fall out of the habit of doing Kumon and I thought I might fall behind if I didn’t do it on the trip”, Anna said. “My two cousins who were with me on the trip also do Kumon, so we helped each other during the evenings when we had lots of spare time”. Paula, Anna’s mother, said she was impressed that Anna wanted to keep up with her work and that Kumon has boosted Anna’s confidence. “Anna likes to achieve, and I think that she’s seen herself improve over time”, Paula said. Anna aspires to be a doctor or scientist when she grows up, and would like to star in a musical. As children prepare for the year ahead, you might like to consider how Kumon can help your child develop a daily learning habit as well as boosting their confidence. Enquire with your local Kumon Centre to learn more about giving Kumon a try in 2019.